zupps’ higer distributor tony coccetti at pre-delivery for another gladstone lng plant shuttle bus. gary worrall behind the wheel and under the lid of the higer roadboss. Power comes from a (barely audible) Cummins ISBe5 engine. a forest of rocker switches behind the higer badge provides scope for everything that opens and shuts on the roadboss. the higer roadboss is a revelation under australia’s road test conditions. 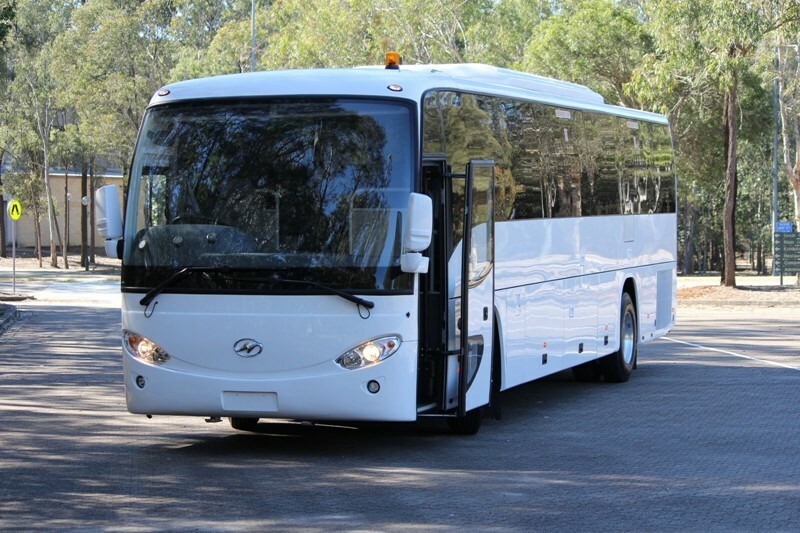 Higer Buses like the Higer Roadboss are in the vanguard of a wave of Chinese-built buses arriving in Australia. The Higer Roadboss is a mass production model bus supported by large spare parts inventories on a global scale. 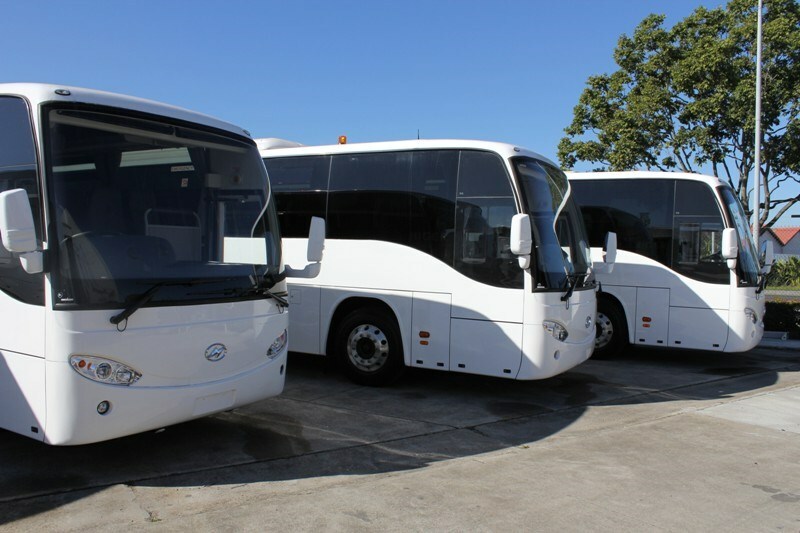 Despite initial concerns over quality and longevity, Chinese made buses are increasing in popularity, making up more than a quarter of buses sold in the first five months of 2012. 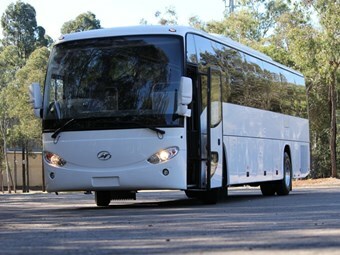 Higer buses are currently the second-most popular Chinese brand in Australia, aided by Higer cleverly opting to use proven international components from suppliers such as Cummins, Allison and ZF, to capitalise on their popularity with operators. While there are only so many ways to package a slab-sided mass transit vehicle, Higer has personalised the experience, opting for a detachable front clip resembling a smiling face, complete with elliptical headlights mounted at a 45 degree angle. While operators have expressed concerns about similar designs, requiring stocks of uniquely shaped headlights, in Higer's case it is a mass production model that supports large spare parts inventories on a global scale. The front clip also contains a number plate cutout, while the single piece design allows panels to be replaced quickly. It also means even minor bumps and scrapes will need the whole panel to be removed for repairs. An additional panel bridges the gap to the single piece windscreen that wraps around the nose section, curving back to the slightly recessed A-pillars. Designed as a school bus the RoadBoss comes standard with a raised floor, yet still comes in at 3,400mm high, while the single, plug-type, front door comfortably accommodates a full-sized adult, with three steps leading up into the passenger saloon. 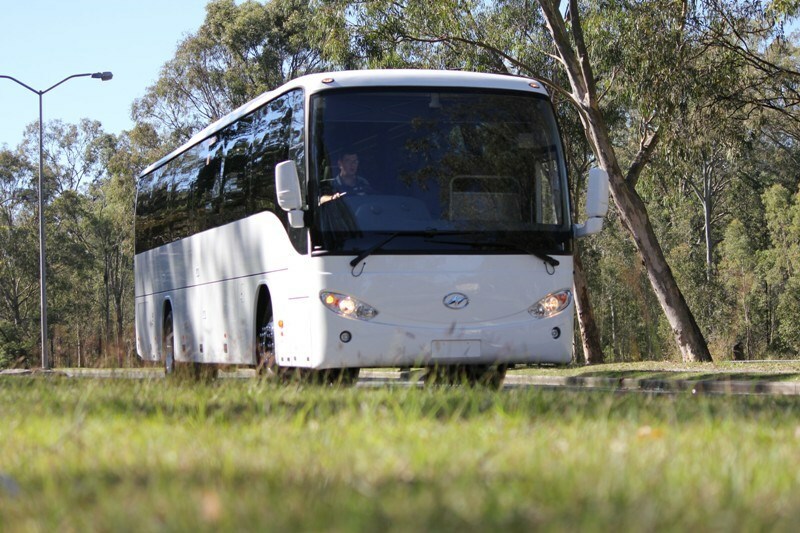 With a body width of 2,480mm, excluding mirrors, the Higer comes in under the Australian maximum, yet still offers plenty of room inside the body for 57 seated passengers. The mirrors are mounted halfway up the A-pillars, maintaining a 'clean' design, free of drag-inducing protuberances, with even the wheels recessed inside the body work for maximum efficiency. External fit of the panels is patchy, with some panels maintaining an equal gap while on others the spacing varies by up to 5mm, although the paint is good, with no visible imperfections on any of the panels. Clever use of space allows Higer to offer the RoadBoss with 57 passenger seats, to customer specification, including five wide across the back row, although taller passengers will find the extra row of seats comes at the expense of knee room. The aisle is wide enough to permit comfortable transition between seats, while the overhead storage spaces will easily hold a hard hat, an important consideration when a key buyer is moving workers to and from a worksite in central Queensland. There are also luggage through-bins under the floor, although well finished and with good dust sealing, the body sits on a 'spine' chassis that cuts through the middle of the storage area, reducing the available baggage space. 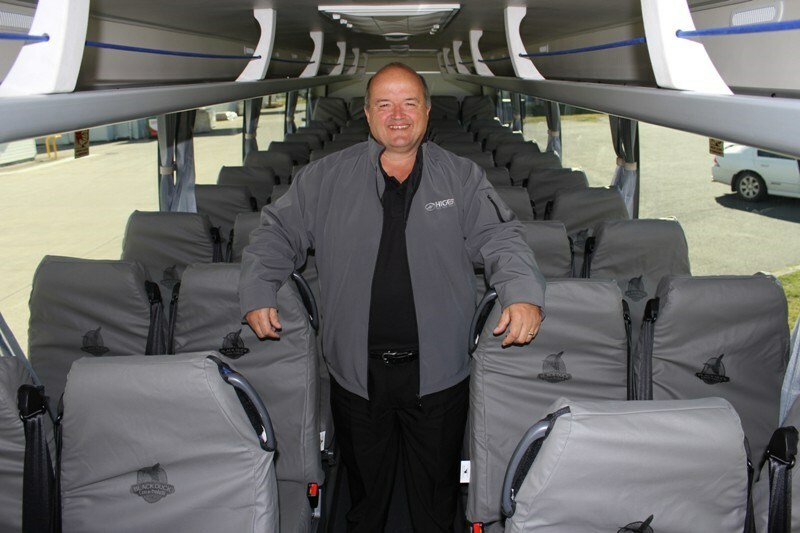 With Higer securing an order for 99 buses to work in Gladstone, transporting workers on and off Curtis Island every day, hard-wearing Australian-designed and manufactured Black Duck canvas seat covers are fitted throughout the bus, ensuring the seats remain clean and tidy, allowing the bus to do double duty on charter work if the opportunity arrives. Flooring is a hard-wearing, non-slip vinyl, while the interior is finished in light shades, creating a pleasant and airy feel in the passenger saloon that is comfortable and welcoming. For passenger convenience, the base of the overhead storage is fitted, airliner-style, with personal lighting and ventilation outlets, with a master switch on the driver's console. There is also provision for a rear-facing display screen, the standard fit includes an in-dash, driver operated DVD player, as well a boom microphone for passenger announcements or commentary. With Higer choosing the much-loved Cummins ISB and Allison 3000 Series automatic transmission, the only issue for operators is the physical installation, and it would seem the wishes of service managers everywhere are granted. The 6.7-litre inline six cylinder engine sits dead centre in the engine bay, with all check points, including dipstick and coolant level, easily accessed for daily inspections, while workshop staff will also appreciate the clearly marked engine start/stop panel. To the left of the engine is the Thermo King air-conditioning compressor and piping, while to the right, is a clever shaft drive to run the cooling fan, along with a hand-operated primer pump for the fuel system. Following normal bus practice the radiator is mounted longitudinally beside the engine, but cleverly the intercooler is mounted outboard of the radiator, protecting the cooling system from errant sticks and stones, on the theory it is cheaper to repair an intercooler than replace a radiator on the side of the road. A swing out panel gives access to the intercooler, allowing it to be cleaned quickly and efficiently without requiring a trip to the workshop. With onboard fire extinguishers a talking point courtesy of recent STA roadside barbecues, Higer have fitted a racing-type 'fire bomb' system with three outlets aimed into the engine bay that can be triggered from the driver's seat. The big challenge is learning the crowded dash layout, which we are warned can vary between buses on the same production line. 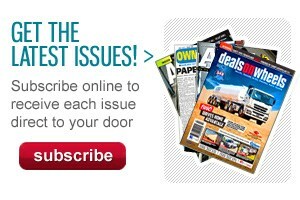 There is literally a button for everything - the trick is knowing which one to use. 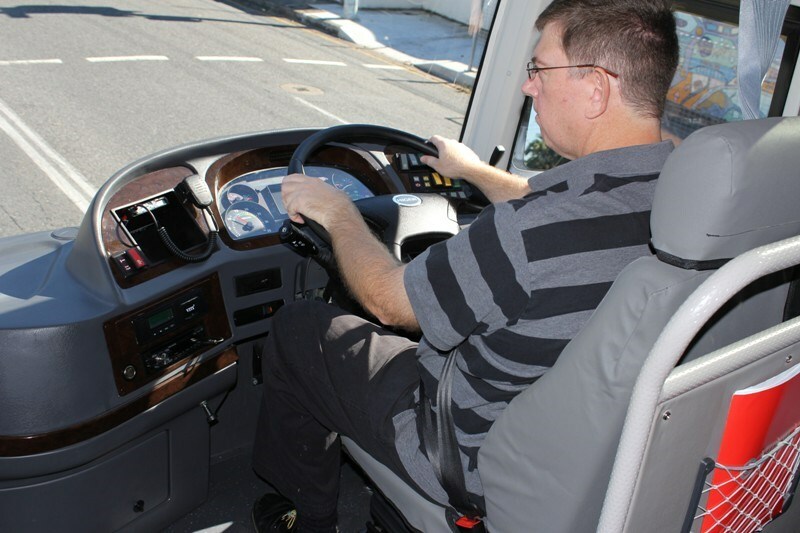 There are some familiar items, including the touchpad for the Allison automatic transmission and the retarder wand, offering six stages of intervention, as well as the Australian-spec audio system and UHF radio fitted to the driver's left. Interestingly, the Higer factory fits a digital tachograph. It is easier to leave it in place for Australia than to remove it, despite local rules not mandating the use of the driving time recorder. 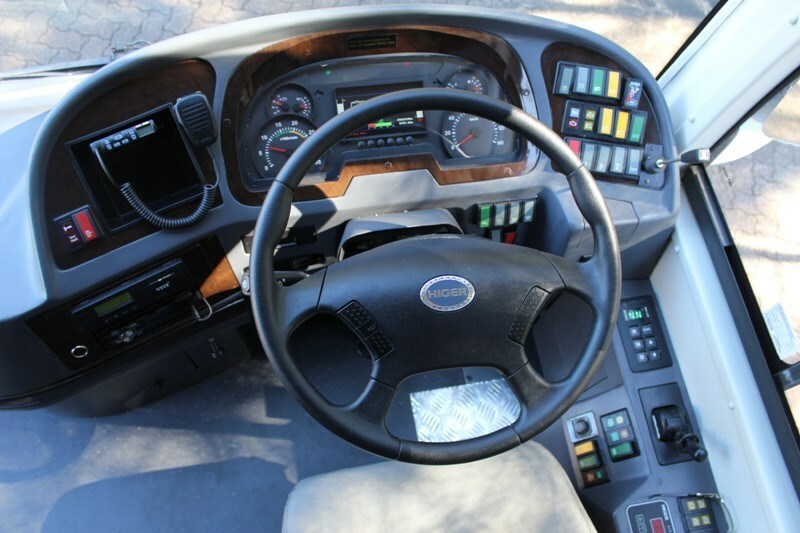 On the right of the instrument panel is a forest of rocker switches, taking care of door opening and closing, interior lighting, the power operated driver's sun blinds, air-conditioning, cruise control and the all-important fire bomb. With so many to choose from clearer branding would be helpful, particularly when the positions can vary between production batches, although the upside of the action is positive, with no doubt the switch has engaged properly. The driver's seat is an air-suspended unit supplied by Grammer, which can also be adjusted fore and aft to accommodate different sized operators, while the large diameter, thick-rimmed steering wheel can also be infinitely adjusted for height and reach. Pedal spacing is good, with no confusion over where the driver's foot is going, there is also plenty of room for my size 11 boots. The only complaint would be the lack of a left-side footrest on long drives. The single piece screen offers plenty of vision, assisted by the thin A-pillars, while the low-mounted external mirrors provide a good rear vision, supplemented by the reversing camera, although it is prone to 'flaring' in bright light. The instrument panel is clear and easy to read, with big dials flanking an LCD colour information panel that doubles as the display for the reverse camera, as well as the three internal security cameras, which can also be shown on the (optional) big screen, to deter poor behaviour, or celebrate good manners. The only downside to the mirror placement is in constant radius corners, such as roundabouts, where the mirror blocks the driver's view mid-corner, however this is an acceptable trade-off for virtually eliminating blindspots during normal driving. 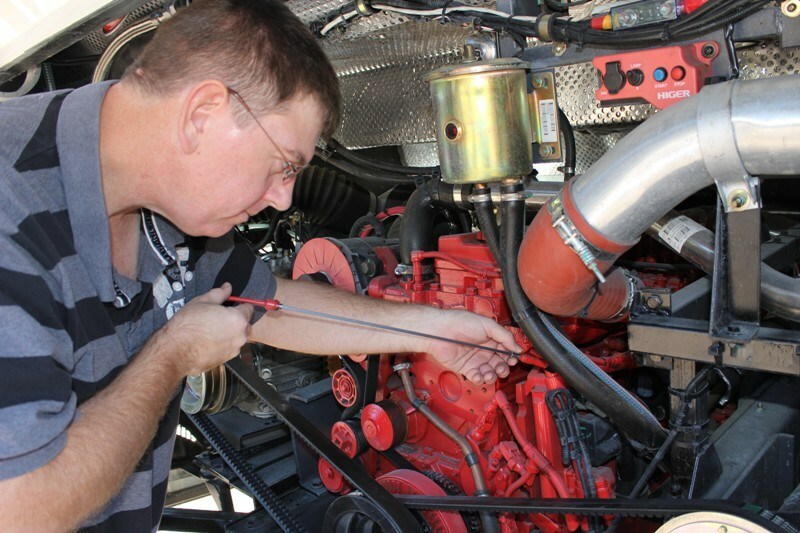 With 11m separating the driver from the engine bay, the Cummins ISB is barely audible, with just a slight tremor rising through the floor to reinforce the tacho needle hovering around the 500rpm mark. Engaging the Allison auto is a moment's work, a firm press of the 'D' brings the transmission online, release the stubby park brake and the RoadBoss starts rolling slowly towards the front gate of the Zupps dealership. With caution the better part of valour, a wide line out of the gate puts us on the main road, where the 300 horses launch the Higer into the flow of traffic. Still settling in, a few exploratory touches on the wheel reveal taut and responsive steering, with the RoadBoss moving briskly from side-to-side in line with driver requests. The first big challenge is just 200m up the road, when the lights go red and the multi-stage retarder kicks in, with the advice being to leave it at '2' for normal driving. Higer has wired the retarder to engage when the throttle is released, my personal preference as it happens, so with the amber light encouraging a lift of the right foot, the bus begins slowing immediately. Allison's hydraulic retarder is one of the great developments of transport technology, and should be a mandatory option, as it allows drivers to manipulate road speed quickly, efficiently, and vital for passenger services, comfortably. The multi-stage deployment means there is plenty of reserve braking effort, with the transmission also dropping gears to maintain engine revs for peak performance, while the lower levels are plenty for regular driving. Add to this the ability to lock out higher gears on steep descents, and it is easy to see why so many operators plump for the option. With only a skeleton crew on board for the test, the RoadBoss is working at closer to tare than at any time in its service life, but it is easy to see it as a lively performer even at top weight, with 75 percent of torque at 1,000rpm and the full 1,100Nm between 1,200 and 1,900rpm. The ZF steering is exceptional, shading many passenger cars for accuracy and speed of response, while feel and feedback is the best in the business, the whole driving experience is relaxed and predicable. There is still some audible tyre scrub on tight corners at low speed, but this is just the laws of physics dictating that if you drag a slowly rotating surface across a plane with a high co-efficient of friction, it will complain. What is absent is the lurch and dive of a poorly sorted chassis, instead the RoadBoss feels composed and tied down, a string of roundabouts failed to cause any distress. It followed its nose with only minimal body roll as centrifugal force did its thing. As mentioned previously, all-round vision is excellent, the slim A-pillars hardly intrude even at T-intersections, often the Achilles heel of buses fitted with euro-style external mirrors. 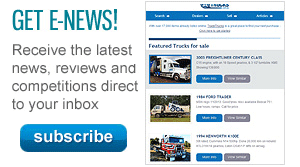 With no idea of what to expect, other than a soft sell from Zupps sales manager Tony Coccetti, the Higer RoadBoss proved to be a well-mannered ride, with proven components ensuring it is up to Australian operational requirements. The only real downsides are the imperfect body panel fit, the central spine eating into luggage space and the 'lucky dip' instrument panel, however these can be fixed with some additional product development and the input of the Australian distribution network and customer feedback.